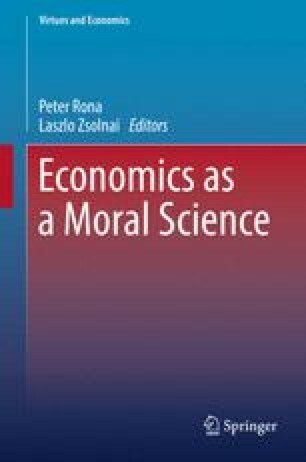 After discussing the main reasons why the thesis of the axiological neutrality of economics is indefensible, the paper provides a thorough critique of the standard economic approach to human behavior. It then takes position in favour of the adoption of the relational paradigm in economic discourse. The paper supports the introduction of the principle of reciprocity within economic theory in order to expand its grasp on reality. Reference to the civil economy paradigm and to its salience is offered. The paper argues that virtue ethics has the capacity to resolve the opposition between self-interest and interest for others, by moving beyond it. The virtuous life is good not only for others but also for the actor. The paper suggests that the discipline of economics needs the relational perspective. The economic world is inhabited by a plurality of types of subjects: some are anti-social (the envious or the malicious) while others are pro-social (who act with the public interest in mind). The personal dispositions of agents matters. Gift as gratuitousness always counterposes its logic of overabundance to that of equivalence, typical of contracts.